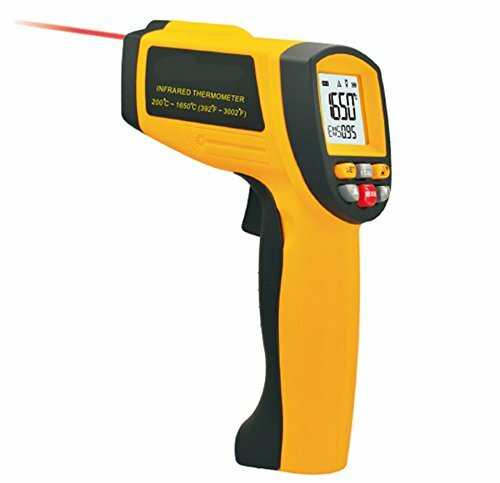 This infrared thermometer is used for measuring the temperature of the object's surface, which is applicable for various hot, hazardous or hard to reach objects without contact safely and quickly. Suitable for: hot water pipes, hot engine parts, cooking surfaces, hot tubes insulation, electrical connection, ballasts in electric lights, electric motors, bearings, wine coolers hot asphalt, swimming pools, fish tanks, hot & cold food products, heating air conditioning, etc. If you have any questions about this product by Lifenergy, contact us by completing and submitting the form below. If you are looking for a specif part number, please include it with your message. AJJU Set Of 8 Crystal Skull Head Shaped Shot Glasses For Vodka Coke Whiskey Cup Home Bar Drink. Bar Accessories.